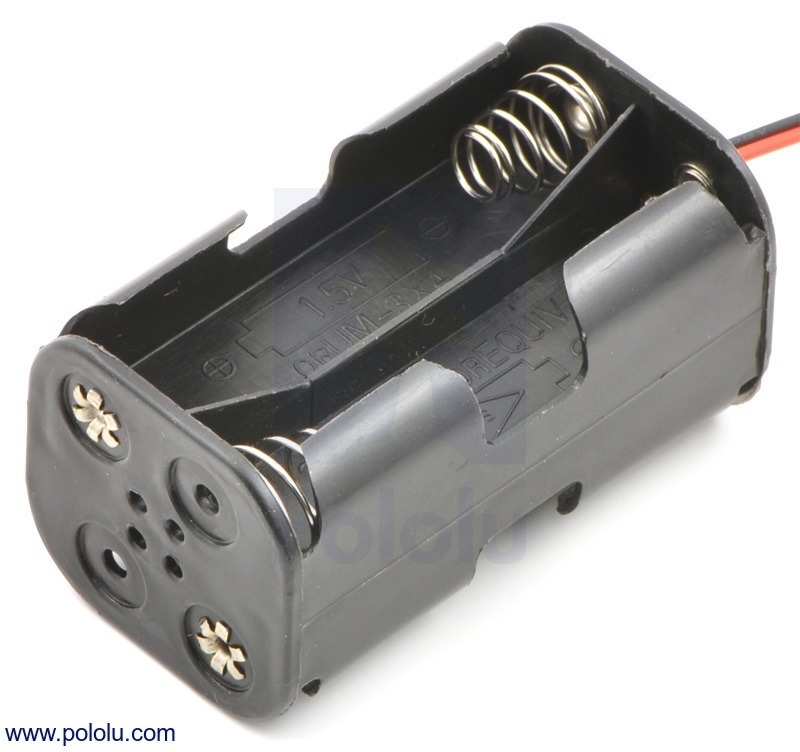 Enclosed battery holder for three AA cells. This holder features a lid that slides over the batteries and snaps into place to fully enclose them. It also features a switch that lets you open and close the electrical connection between the batteries and the holder’s leads.